Chords are one of the key foundational elements on the guitar. 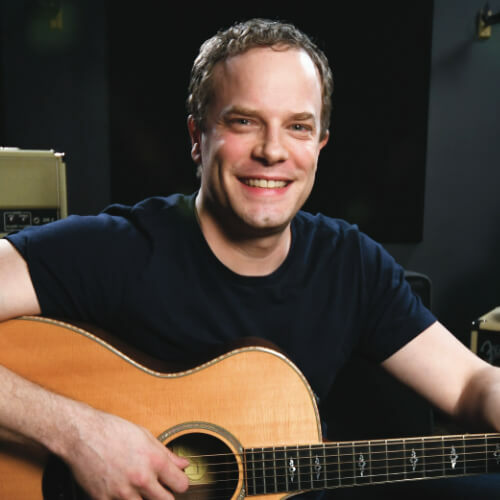 Since you'll be learning a lot of chords in your guitar career, it's very important that you learn some technique tips for making your chords sound as clean as possible. In this lesson, we'll be focusing on the basic technique used for making chords on the guitar. For the duration of this beginner guitar lesson, we'll be using the open E major chord. 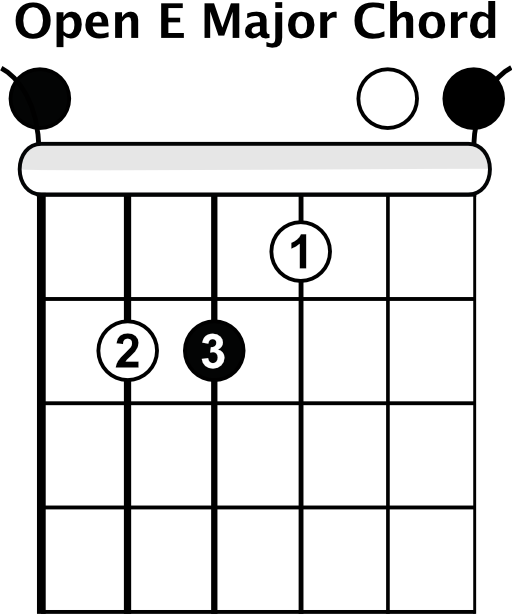 An open chord is just a chord that uses the first three frets of the guitar and uses at least one open string. The first thing you'll want to do is hold your fretting hand out in front of you as if you're holding a baseball. Bring your hand to the guitar and place your thumb on the back of the neck while bringing your fingers down onto the strings. This is the main position you'll use to make chords. Using this open E chord, let's start putting our fingers down. Come down one finger at a time for now. Focus on coming downing right on the tips of your fingers. This will help make sure you don't hit any of the adjacent strings and accidentally mute them. As you're adding fingers, a great tip for making it easier is to bring your elbow in. This keeps your hand in the best position for reaching multiple notes in your chord. The last tip is to make sure you're placing your fingers as close to the fret as possible. The closer you are to the fret the less you need to push, which makes it a lot easier to make your chords sound clean. When looking at a chord diagram, you might notice the circles above the nut. These refer to the strings being played open. If there is an X in place, then you would leave that string out. The black circles represent the root notes of a chord. Chords are made up of a group of notes. The notes that share the same name as the chord they're in are called root notes. In this case, they'll be E notes.